Looking back at my CES experience this year, I’m left in awe by the amount of technology that’s available and the number of people that are working on new ways to innovate every single day. Some of these devices are practical and useful; others don’t really resonate with me and leave me wondering what spurred the creation of the device. Earlier this month, I wrote about the smart home must-haves that you should consider using as marketing tools to sell your home: the smart door lock, smart video doorbell and smart thermostat. I chose those devices because of the benefits that they provide, as well as their growing popularity. There’s a limited amount of time to engage a buyer when they’re viewing properties; the devices have immediate recognizable benefits and function. Let’s start with the smart lock. 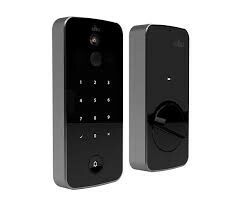 One of the innovations I saw at CES was a product called Altro; a new smart door lock with a motion sensor and camera with two-way talk. This product has essentially eliminated the need for both a smart lock and smart doorbell camera. Priced at $350, it’s more expensive than most smart door locks, but less expensive if you’re thinking about investing in both a smart doorbell and smart lock. Next on the list is the video doorbell. 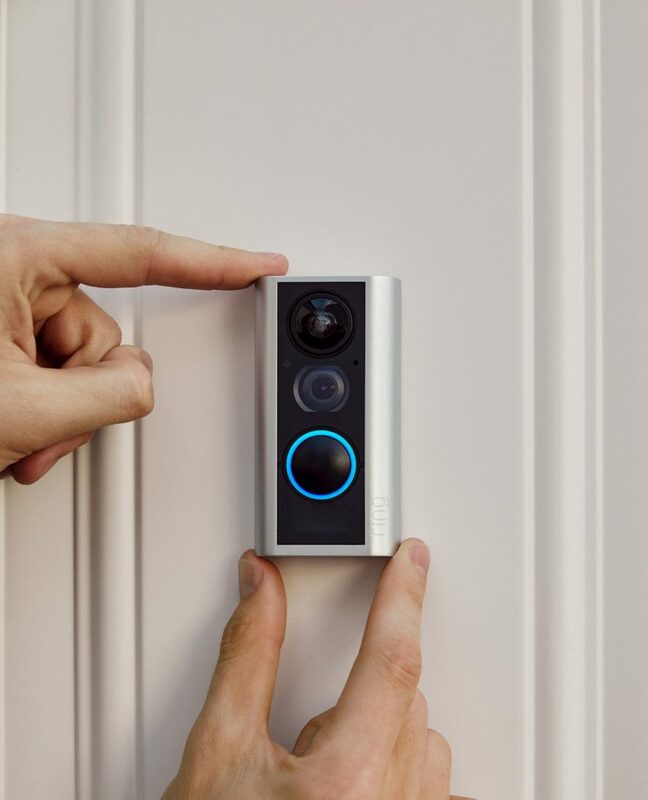 Ring’s latest innovation takes the idea of a video doorbell and applies it to homes with only a peephole. The new Door View Cam allows you to replace your existing peephole with a camera as well as some of the same features that their doorbell cam has to offer, like HD video with two-way talk and motion detection. The Door View Cam is equipped with a privacy cover and removable battery pack. This year, Netatmoreleased the first smart doorbell that works with Apple Homekit. Netatmo’s smart doorbell has a microSD card so you don’t have to pay for a video storage subscription. A few key players have dominated the smart thermostat market over the last few years. 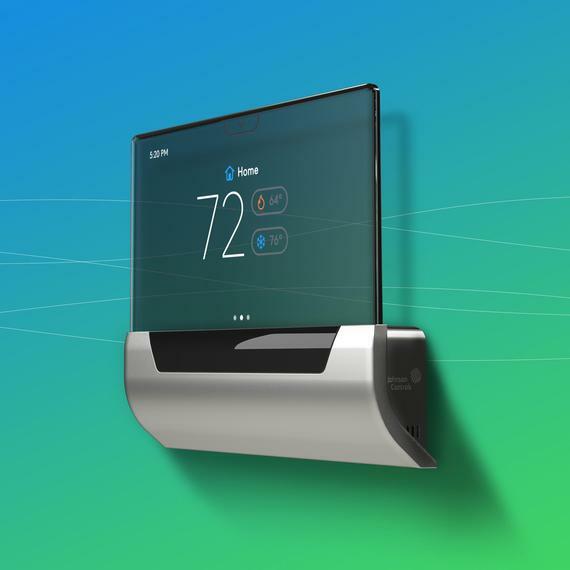 It’s nice to see some new competition in this category with a product called GLAS by Johnson Controls. GLAS has raised the bar with its unique design. It is unlike any other smart thermostat on the market with its translucent OLED touchscreen. It’s equipped with features similar to other smart thermostats like energy savings reporting and air quality monitoring. Residio, formerly Honeywell Home, also launched the T-Series; a new smart thermostat with room sensors that measures humidity and temperature. You can add up to 20 sensors to the system. This year will be interesting for smart home and its impact on real estate. The ubiquity of these connected devices in the home has steadily increased over the past few years. Today, I can assert that using smart home in real estate marketing is a differentiating factor, but that will not always be the case as devices become more common. With new homebuilders offering smart home packages and increased consumer adoption, it will soon become an expectation. While using smart home as a marketing tool can give you an advantage, it’s important to understand the drawbacks in order to protect yourself during the transaction and after closing. When viewing a home as a buyer, always assume there is a camera. Home surveillance is nothing new, but now it happens in real time with these connected devices. As a seller, be sure to disclose that there are audio recording devices in the home. Depending on where you live, recording conversations you’re not part of is illegal. Some smart home devices are considered personal property; if you expect those devices to stay in the home after closing, be sure to get it in writing. It’s important that you’re working with an agent who knows smart home. A well-educated agent will have a wealth of information and be able to guide you through the process. One of the critical pieces when dealing with a smart home during a sale is the hand-off at closing. Smart locks are great, but not if the seller forgets to reset it to factory default when they leave. You will not be able to access that smart door lock. Handing over “virtual keys” is just as important as the physical ones. The seller should reset all the of connected devices to their factory default before closing. The benefits of smart home are seemingly endless from convenience, energy savings, safety, security, peace of mind, money savings and more. I’d love to hear how you’re making your home smarter!